Ever since Heidi Barker can remember, she wanted to work with children and own her own day care business. 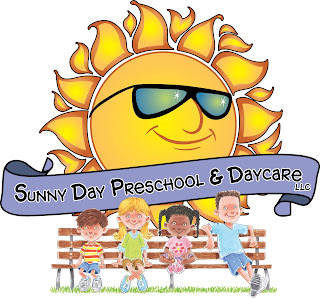 When Heidi graduated from college, she started working at the Sunny Day Preschool and Daycare Center in Heber City, Utah. The school had been in existence since 1978, and housed children from 3 months up to 11 years old. Heidi had worked her way up from a teacher to the Director over a period of years.In November 2009,the previous owner decided to sell the business and the house that the Daycare Center was operated from; and she approached Heidi to buy it. The offer was fairly priced, and this was Heidi's chance to own her own business, and buy a house to live in at the same time. She needed to acquire a down payment and she approached the Orem SBDC Center to help her with a business plan to secure a loan.Heidi approached several banks and savings and loans over the next year and a half with her finished business plan, but was turned down. Her credit score was good, but she had no collateral and her income was insufficient to secure a bank loan. Heidi didn't give up - she approached the Utah Micro Enterprise Loan Fund and secured a loan from them; and scrapped together a small amount of cash from friends and relatives to make the down payment for the business only. She then worked a deal with the previous owner to lease the house until she could get a loan for the down payment on the house.On January 3, 2011, she registered the Sunny Day Preschool and Daycare, LLC in her name, retained the four employees, added more children to maximize capacity (she currently has a waiting list of children), updated her license with the State of Utah, and has made a profit ever since.When asked what role the SBDC has played in this, she states, "The Orem SBDC helped me write the business plan, value the business, secure the loan, and negotiate the lease. They made it all possible. When it seemed I would fail, they encouraged me to keep going forward. "As a new business owner, Heidi overcame many challenges, like molding the former employees into a cohesive, motivated team, collecting past due invoices, and conforming to the myriad of State regulations.Heidi feels the secret of her success is lots of hard work (13 hour days, 6 days a week) and total "face time" with her employees, the kids, the parents, and the stakeholders. The school is her life and she loves it. Heidi feels the best part of being an entrepreneur and owning her own business is the difference she can make in children's lives. She tells them everyday, "you can overcome all odds - you can do anything you want, just like I did. "When Heidi is asked for advice on opening a business, she responds, "Go see the Orem SBDC for help. They will help make your dream come true." "The Orem SBDC helped me write the business plan, value the business, secure the loan, and negotiate the lease. They made it all possible. When it seemed I would fail, they encouraged me to keep going forward. ""you can overcome all odds - you can do anything you want, just like I did." Heidi feels the secret of her success is lots of hard work (13 hour days, 6 days a week) and total "face time" with her employees, the kids, the parents, and the stakeholders. The school is her life and she loves it. Heidi feels the best part of being an entrepreneur and owning her own business is the difference she can make in children's lives. She tells them everyday, "you can overcome all odds - you can do anything you want, just like I did."